The Keystone Corridor Ground Water Contamination Site is located in Indianapolis, Marion County, Indiana. 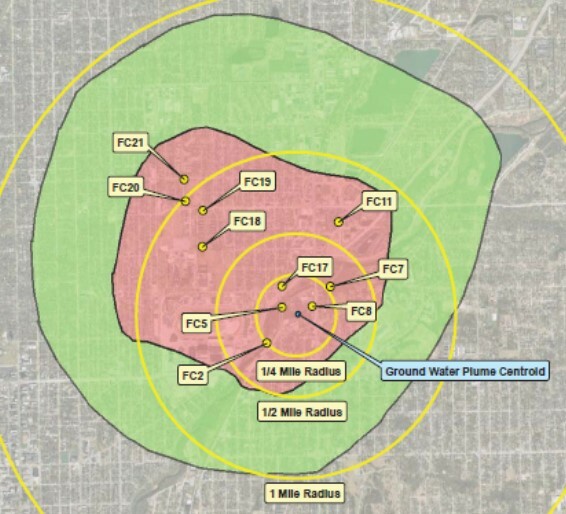 The site is a ground water plume that has contaminated the Fall Creek municipal well field. The plume consists of chlorinated solvents, specifically tetrachloroethene (PCE), trichloroethene (TCE), vinyl chloride, and cis-1, 2-dichloroethene. EPA added the site to the National Priorities List in December 2013. During the Remedial Investigation/Feasibility Study, EPA documented that vapor intrusion is occurring at residential properties. PCE and TCE were detected above Vapor Intrusion Screening Levels in two homes. TCE was above the urgent action criteria in one home. EPA's Emergency Response and Removal Program is taking emergency actions to mitigate vapors in these homes.